These past 10 months have been a beautiful whirlwind. I had my precious daughter, becoming a mother + the crazy amazing journey that goes with that but also starting my photography business. When I think of the momentum I already have going + my supportive clients (past, present and future), my heart is humbled. I told my significant other, Mason, that I want another baby. I know, I'm nuts. But I miss that newborn squishiness! But he said 2016 is my big year + I need to focus on the amazingness this year will bring. And he's right....gosh that's hard to admit. This year will be a big year because I am starting on weddings! Gosh, I have this beautiful vision for this little business of mine + I just keep getting closer to achieving this vision! Since I have not done any weddings (but a few booked already, eeeee!) I wanted my future clients to be able what I can bring to the table with weddings. I want the brides/grooms to know I will capture every beautiful moment. I want to experience this with you. 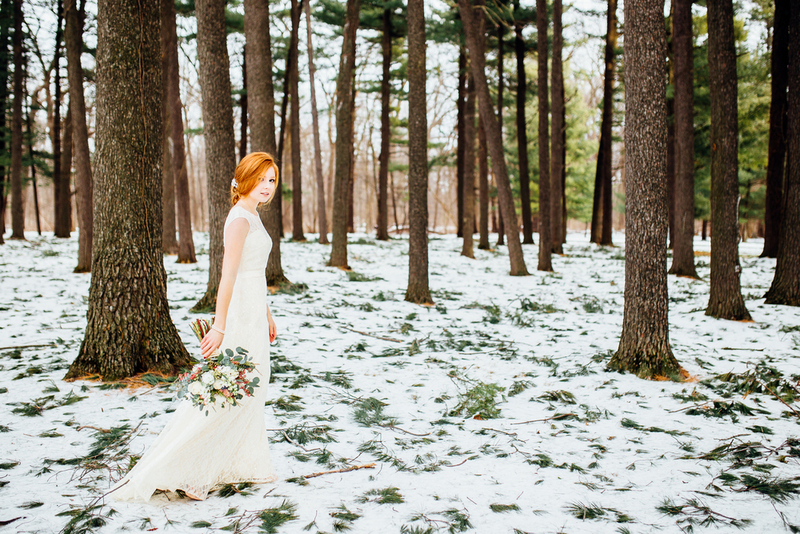 I teamed up with some brilliant vendors for this styled bridal session. Everything from the flowers to model -- I couldn't have done it without them.